Is The Sun Setting On Your Chance To Go Solar? Are you really going to give up the chance to make a risk free profit? 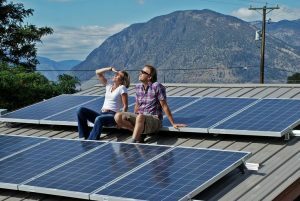 Most homeowners can now qualify for a zero down solar power system for their homes, where the monthly repayments are less than the monthly savings that they will see on their power bill. In short, a risk free profit by going solar without needing to put their hand into their own pocket. In part, this is because of the plummeting price of solar panels over recent years. However, it is also true that these zero down systems are only possible because of two very generous solar incentives. The first incentive is the net metering law. This law requires utilities to pay you the full retail value for power that is generated by a solar system on your home but that is not used within your premises. This incentive is particularly important as solar generates its power during the day and most homeowners use more power in the evenings. Currently net metering contracts are being offered for 10 years. This net metering law is under ferocious attack by the utility companies. The second and most important solar incentive is the 30% federal solar income tax credit that slashes the upfront cost of solar. Recently, the House and Senate agreed by significant margins to grant extensions to the ITC. It will continue at 30% levels for both commercial and residential systems through to 2018, then taper off in yearly increments to settle at 10% in 2022. Some have passed up on the opportunity saying, “well it was only going to save me $50 per month after my repayments and so I didn’t bother”. The error of this logic is that power prices will continue to rise, meaning that the $50 per month saving in 2015 will most likely be a $200 per month saving in 2025. 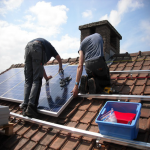 Installing solar insulates you and your family from the effects of rising power prices and this is something that few people have properly taken into account. There are a plethora of options available with solar companies springing up like mushrooms to help people take advantage of this opportunity. It is not often an average American homeowner gets to make a risk free profit funded by government incentives, and we may not see solar available this cheap again in our lifetimes. We have partnered with a Solar company, such that they can show you which solar companies service your zip code and what the consumer ranking of each one is. This site delivers a ballpark estimate online, so that when you talk to a solar company you know exactly what you need and what it should cost (even with zero down systems there can be differences in monthly payments and lease terms). The site will also get a local installer/s (if available) to take a look at your roof online and tell you if the ballpark estimate given online is likely to be accurate for your property. It really is the easy way to evaluate solar from the comfort of your computer screen. History shows that electricity prices only go up over time because utility companies do not have any interest in or need to reduce prices, even when their costs are lower. Residential electricity prices in California have increased massively since the early 2000’s, even adjusted for inflation, according to Energy Department statistics.